I was born in York, North Yorkshire and have always been immensely proud of my northern heritage. I completed A-levels and embarked on a successful modelling career at 18, working with many high-profile clients such as Wella. 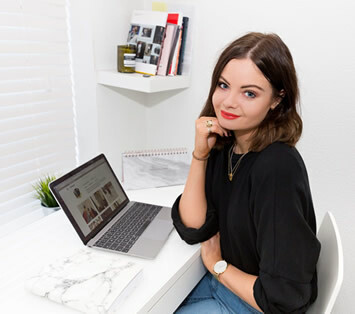 This experience of a rarely seen side of the fashion industry gave me invaluable inside perspective on brand campaigns and styling as well as being able to develop my strong work ethic from an early age. Alongside this I begun my Instagram page ‘wearsitatkat’ at that point simply posting outfits that I was wearing that day. Still with a keen interest in fashion I decided to pursue a degree in Fashion Marketing at Leeds Beckett University (formerly Leeds Metropolitan University) as a mature student whilst continuing to grow ‘wearsitatkat’. The contacts and knowledge I gained and continue to gain have been the stepping stones to my current success. ‘Wearsitatkat’ has now grown from just an Instagram page to a brand – working with high – profile brands such as ASOS and Barbour International, amalgamating both my passion for the fashion industry with my depth of knowledge around the growth of digital marketing and the power of social media with my own personal sense of style and hoping to share my successes to my clients along the way so they to can create a successful social media presence to grow their brand.